The Pag circle dance is performed to the accompaniment of brass music. 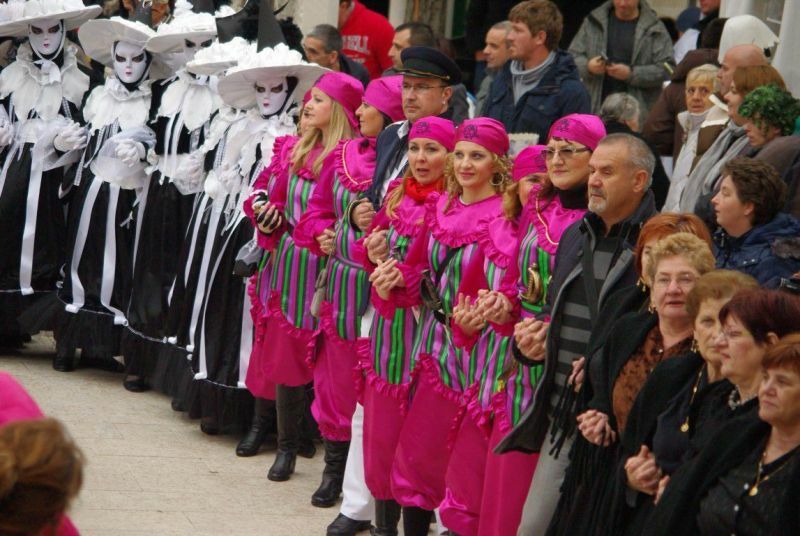 It is performed on the final days of the carnival, on Sunday, Monday and Tuesday, in the central town square. 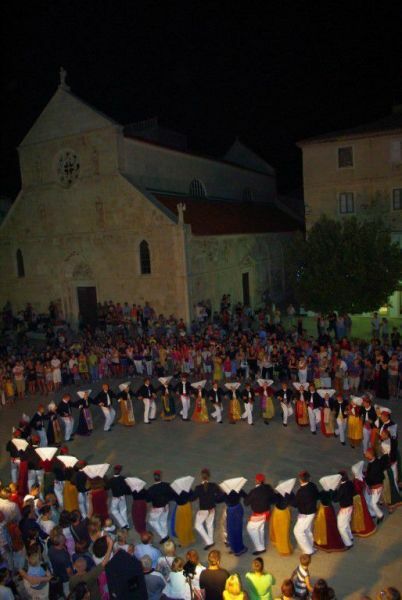 Particular credit for maintaining this tradition goes to Maestro Šime Dešpalj, who, as the music director in Pag, arranged and set to music the choreography of the circle-dance, which is even today performed in line with the beats of his music. Dešpalj also deserves thanks for the fact that Pag has its “Waltz on the Pag Waterfront.”"